YouTube is home to countless videos from talented minds but it’s also home to some incredibly obnoxious and invasive ads; which leaves some wondering how to block ads on YouTube. These aren’t just inoffensive banner ads, according to one study, some of the most obnoxious ads, to be exact. The good news is that YouTube has since made some strides toward less obnoxious ads. In February it removed the unskippable, 30-second ads. These ads, loved by no one, were a huge headache for most users. Even still, YouTube continues to show numerous ads before and during videos, as well as on the bottom and sides of content. You’re probably wondering how to block ads on YouTube. Well, wonder no more – all you need is a reliable ad blocker and you’re good to go. uBlock can take care of your YouTube ads in a hurry. At the same time it will also prevent those annoying pop ups on other websites, too. Oh, did we say several steps? There’s only one! When using an ad blocker, sometimes the good sites can get caught in the crossfire if you’re not careful. Many of those outspoken against ad blockers use this as their primary argument against ad blocking. What many don’t know, is that whitelisting allows you to support content creators you like, by allowing their ads to show. If you’re using the standalone app, go into the settings of your uBlock settings and select the Whitelisting tab. Here, you can enter the domains of sites you want to support by seeing their ads and promoted content. The highlighted area in the above URL is the domain. Now that you know how to block ads on YouTube, it’s important that you also know how to support the YouTubers you watch most often. 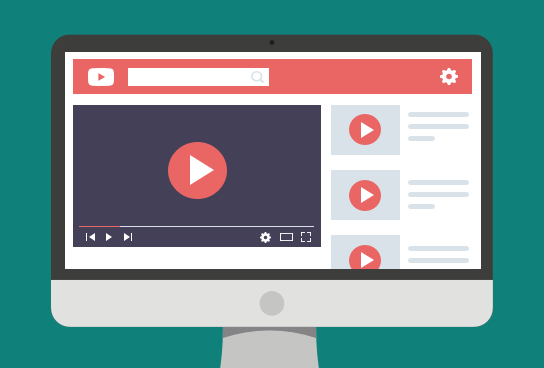 Adding YouTube to your whitelist means you will see ads on all pages you visit while on YouTube, including popup ads and whatever other ad units YouTube utilizes. Another easy–and more targeted–way to allow ads for a specific creator on YouTube that you want to support is to simply temporarily disable uBlock. Just click on the big blue button in the uBlock menu to temporarily disable uBlock. The button will turn grey which means that uBlock is disabled. Once you are done, and want uBlock to start blocking ads again, just click the button again. Once it turns blue you’ll know uBlock is blocking ads again. Please note: if you really want to support a YouTube channel you enjoy, we suggest turning off uBlock, clicking “Play All,” and letting all of their videos play through. Doing this will ensure all of the ads before their videos are watched, which in turn allows you to support them. Due to recent changes to YouTube’s revenue model, many creators are panicking. Giving back to them in this little way may not seem like much, but in the current YouTube climate, it can make a huge difference. While it’s important to support your favorite content creators, it’s also important to stay safe online. Head over to our internet security center to learn about all things adware, spyware, and cybersecurity. uBlock is in your corner when it comes to all things internet privacy.